Be sure to purchase tickets to this plentiful breakfast buffet, including a made-to-order Omelet station, to visit with beloved characters such as Rudolph, Frosty, Gingerbread Man, and more. 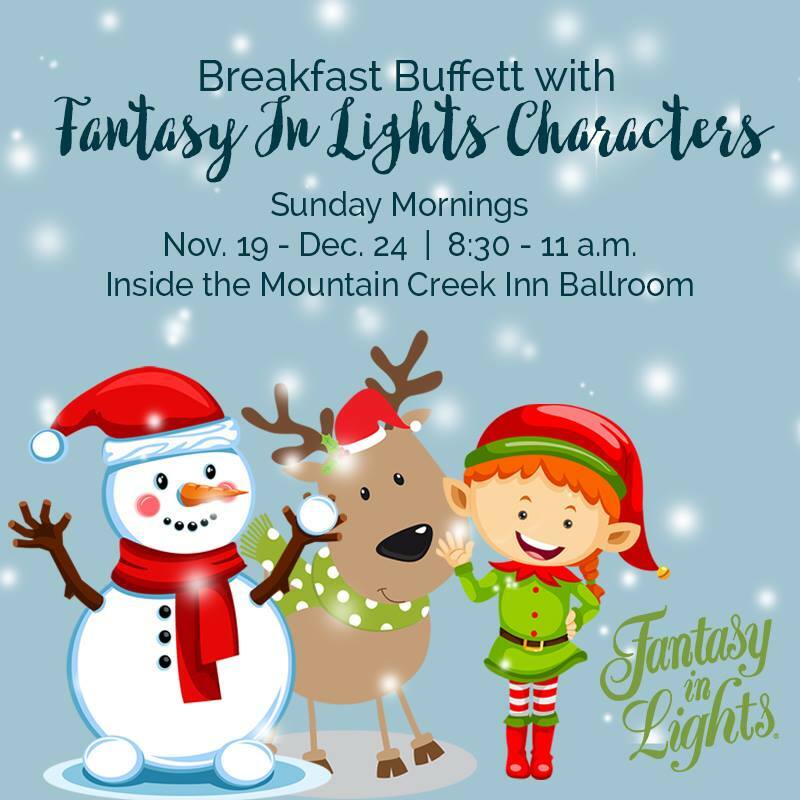 Join us in the Mountain Creek Inn Ballrooms between 8:30 a.m. and 11 a.m. for a wonderful breakfast and Christmas cheer with our favorite characters during this most wonderful time of the year! Tickets Required. For tickets, call 844.512.3826 or reserve online.